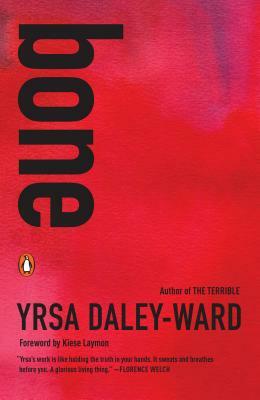 The poems in Yrsa Daley-Ward’s collection bone are exactly that: reflections on a particular life honed to their essence—so clear and pared-down, they become universal. From navigating the oft competing worlds of religion and desire, to balancing society’s expectations with the raw experience of being a woman in the world; from detailing the experiences of growing up as a first generation black British woman, to working through situations of dependence and abuse; from finding solace in the echoing caverns of depression and loss, to exploring the vulnerability and redemption in falling in love, each of the raw and immediate poems in Daley-Ward’s bone resonates to the core of what it means to be human. “You will come away bruised.